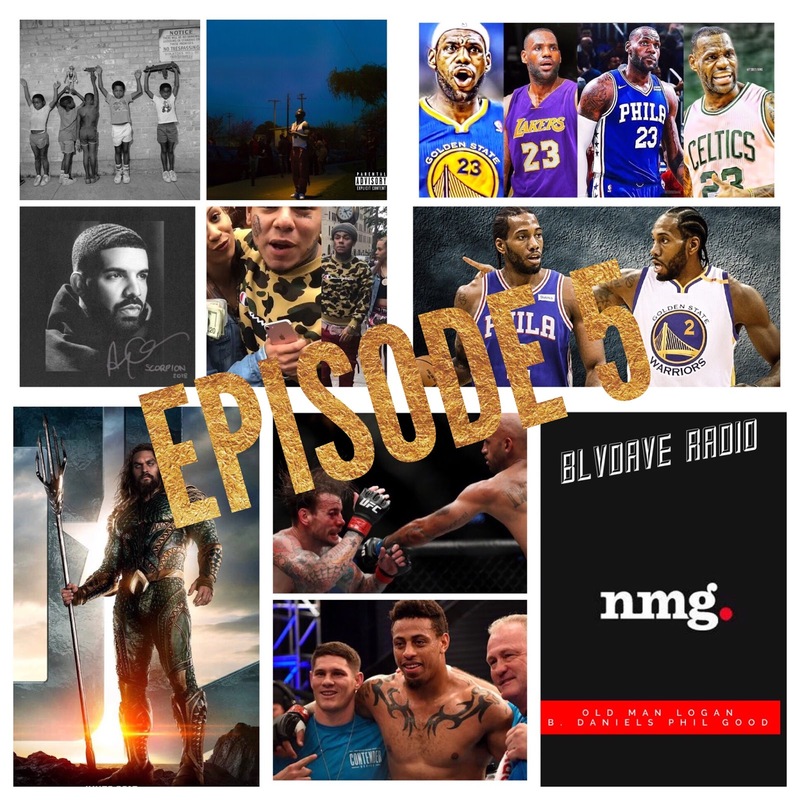 BLVDAVE: Podcast on the AVE: BlvdAve Radio Ep. 5 "Where's Nas" ? Back like we left somethin, welcome to episode 5 ! On this ep we talk about several new music releases, tekashi 6ix 9ine trolling Chicago hip hop artist, Greg Hardy winning his UFC contract after a knock out blow being delivered in just 57 seconds, CM PUNK and if he’s done in UFC, what’s next for both Lebron James and Kawhi Leonard in the NBA and Aquaman being up next for DC Comics and Warner bros. Entertainment. BlvdAve Radio Episodes air every Tuesday @ 7Pm on Logik Radio (www.wlgkradio.com) and is available on podcast platforms every weds ! As always the podcast version features a sports recap done by Saul Rodriguez aka @saul.r26 !